Atalanta hail from the same region in Italy as Milano, Lombardia. So they are literally and physically very close to home for Milan. But they also sit just six points ahead of us on the table, and a loss tomorrow could put our hopes of a Europa League qualification spot in serious jeopardy. Additionally, we have seen many Milan players through the years come through Atalanta. Likewise, they have three of our former youth players in their ranks who once offered promises of making it to our first team. All things considered, they are just too close to home. Remember when that fierceness belonged to us? What a great week to be an Atalanta fan, though. They secured a deal to buy their stadium. That will make them only the third Serie A club behind Juventus and Sassuolo to own their own stadium. That is massive. Additionally, Gasperini signed a three year contract renewal. So their fantastic top five season just got that much better and their future is very bright. Which is great to have things off the pitch going so well since their current form of D-D-W-D-D is not exactly the way they wanted this fairy tale season to end. Their most recent draw was against Udinese last week. For that match, Gasperini lined up Berisha; Caldara, Masiello, Toloi, Cristante, Grassi, Spinazzola, Raimondi, Petagna, Gomez, and Kurtic. That lineup was one Paloschi away from a Milan power three reunion. Gasperini will be missing the injured Cabezas, Zukanovic, and Dramé for our match. I think that with the off-the-pitch stuff that has been happening, their mentality will be much better than their results of late. Montella will be missing Paletta and Ocampos (aka The Answer For Everything) to suspension. 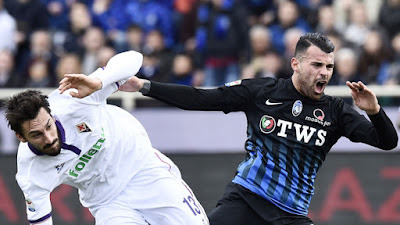 Additionally he will be missing former Atalanta player Bonaventura to injury as well as Abate and Antonelli. Romagnoli trained with the team the last few days and is a possibility to play, but Poli, Vangioni, and Calabria are all very much in doubt. 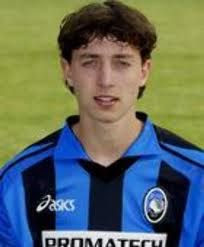 Likely to start is another former Atalanta youth graduate, Montolivo, which will mean that Locatelli, who also played a couple of years for Atalanta as a youth player will not necessarily start. Geographically, La Dea (the Goddess), are the closest, but mentally, Atalanta are miles ahead of us. It should be a gritty battle for three points, and the team that wants it most will likely win that battle. Unfortunately, that will probably not be Milan. Because even if Bergamo and Atalanta are too close to home, unfortunately, the teams are mentally worlds away. This match will be shown LIVE on RAI in the U.S.